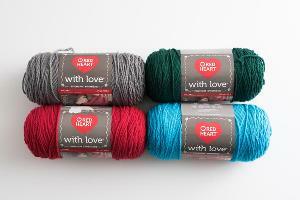 Prize: Red Heart with Love yarn is a premium worsted acrylic yarn that comes in 28 bright and bold colors. This yarn was made in the U.S. from premium acrylic fibers that are engineered to be softer and keep its shape. Statistics: This contest was opened by 130 and entered by 4 ContestChest.com members. 3% of those who opened the contest, entered it.